Ah, the big beats, the synthesizers, the echoed vocals. 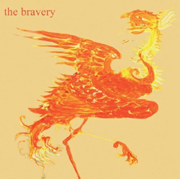 It's not 1985 all over again, people; it's the Bravery's self-titled debut. Rising from a Lower East Side tenement to the annals of Island Records in meteoric fashion, this quintet's Strokes meets Killers meets The Cure will get all of the twenty-something?s in the bar hopping, but it's nothing that you couldn't dig out of your older sister's or John Hughes' record collection.